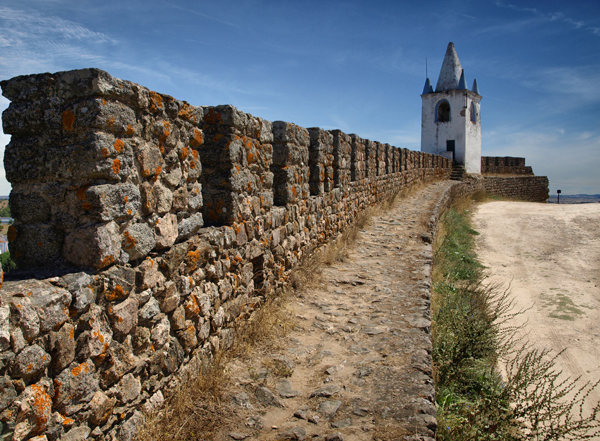 Detail of the Castelo de Arraiolos, a castle in Portugal. It is classified as a National Monument. It is also known as Palace of Mayors and it stands out as one of the rare plant circular castles in the world.